Hi everyone. I’ve returned from my work-related travels of the past week, so I thought I’d share a (very mini) travelogue and give you a quick update on the content I have planned for the week. I happened to pass through Las Vegas last week. In the cab from the airport to my hotel on the Strip, I asked the cab driver where I could find the best Mexican food in Vegas. (I grew up in the Southwest and live now in a Mexican-food desert, so whenever I’m in Vegas or in Dallas or Albuquerque or anyplace that might qualify as the American West, I make a beeline for some Mexican.) Roy, my cabbie, referred me to Tacos El Gordo. “Like the Tacos El Gordo in Tijuana?” I asked. Yes, he said, the very one. “Take me there!” I cried. 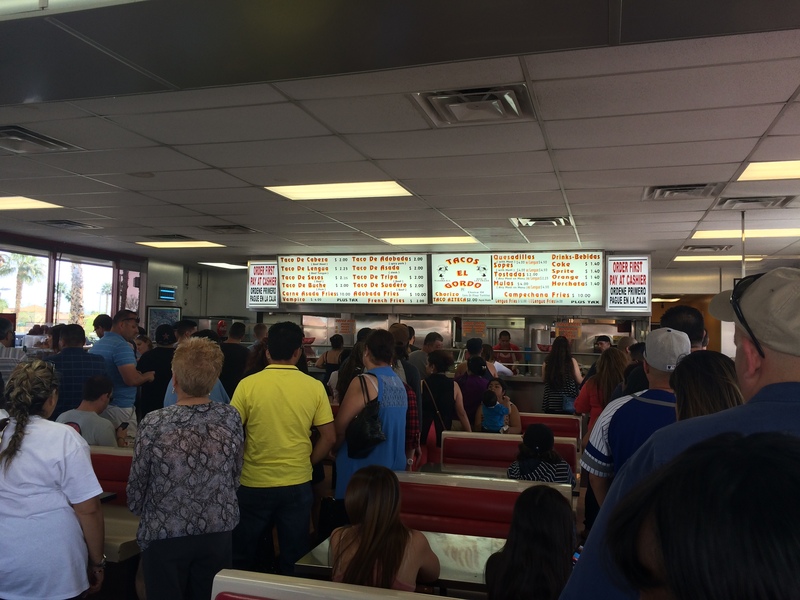 Although it was about 3 p.m. on a Sunday, Tacos El Gordo was mobbed. A Tacos El Gordo location in Vegas. I figured that a taco joint this crowded in the middle of the afternoon was probably on to something. Everyone was speaking Spanish–ahhhhhhh. I felt right at home. Roy came in with me to grab a snack, too. lol. For some reason, I foregrounded the grilled veggies here, but you can see a little plate of tacos al pastor in the background. 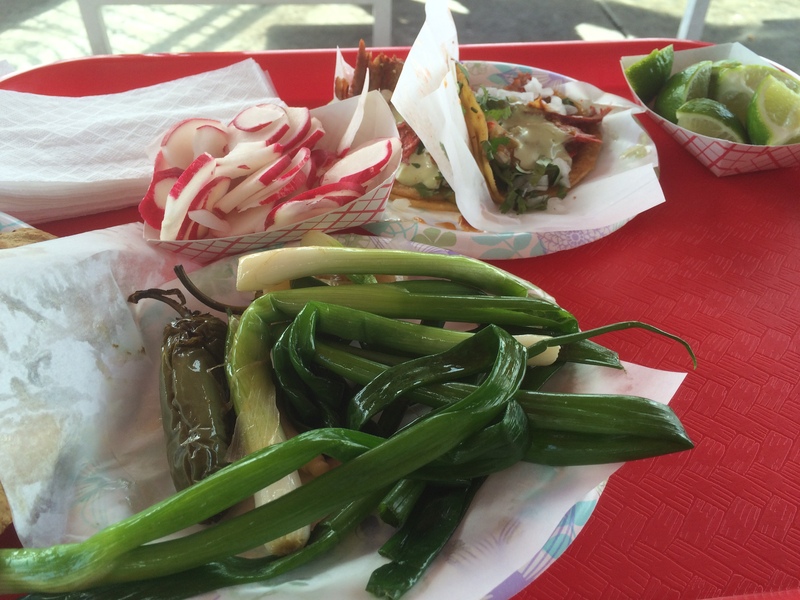 Roy was impressed that I ate the grilled jalapeños–straight, no chaser. I had a lot of work to do in Vegas, but I found a little time to drop by the Serge Lutens counter at Barney’s on the Strip. I covered my little paw in lippy swatches. 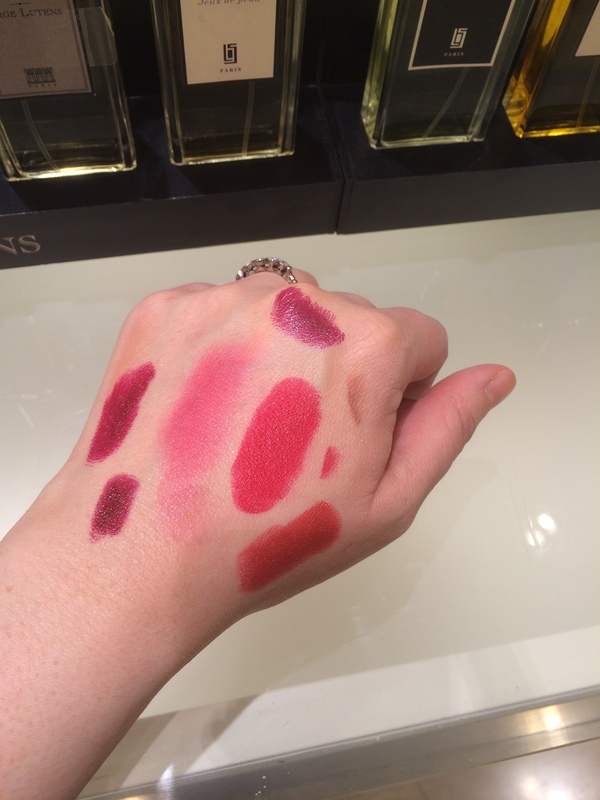 The two big blobs of red in the center of my hand are the new Lutens matte lipstick–applied full strength on the right and rubbed out into a stain on the left. Pretty! In person the lipstick had an interesting finish–a luminous, multi-dimensional matte. I came away with that one. 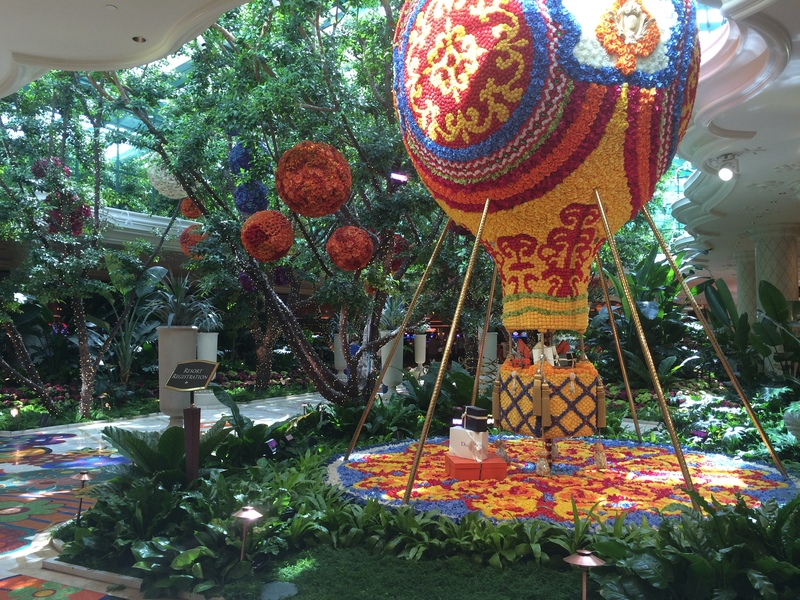 Back at the hotel, I snapped a few pics of the bright, fun touristy stuff for color inspiration. I’ve been thinking about primary colors and how to use them together, so Vegas was kind of perfect for primary-color inspirations! 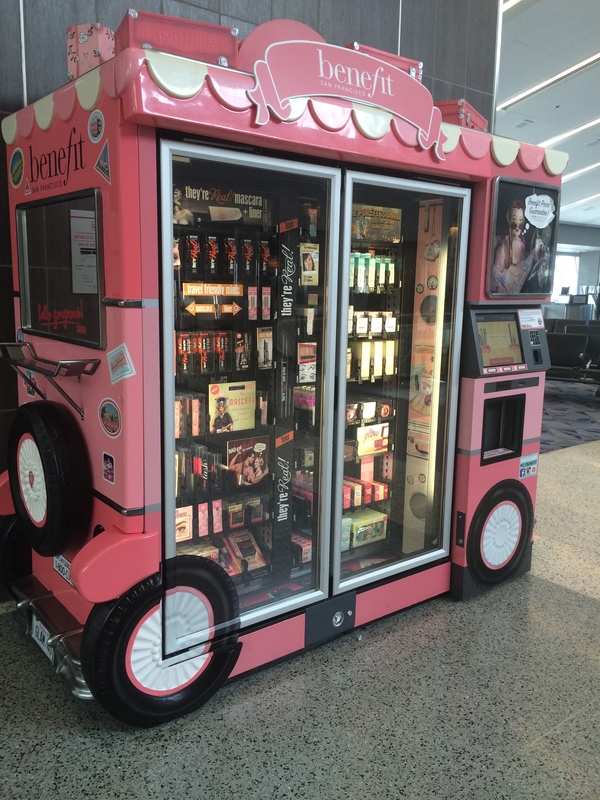 Zooming through the airport on my way home, I came upon a Benefit vending machine. And I have to admit, I kind of loved it. 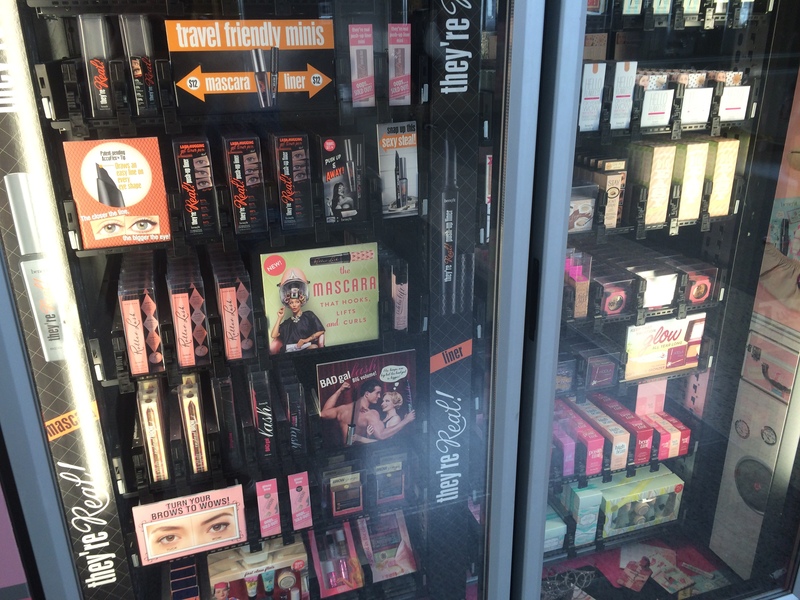 I like quite a few Benefit products–it’s kind of a sleeper label in my collection. I don’t always think about Benefit stuff–and their packaging is not my absolute favorite, I have to admit–but I do get quite a bit of pleasant use out of the Benefit things that I do have. Clever of them to include the “travel-friendly minis,” right? Now I have a wish for, say, Chanel vending machines! That would be kind of awesome.